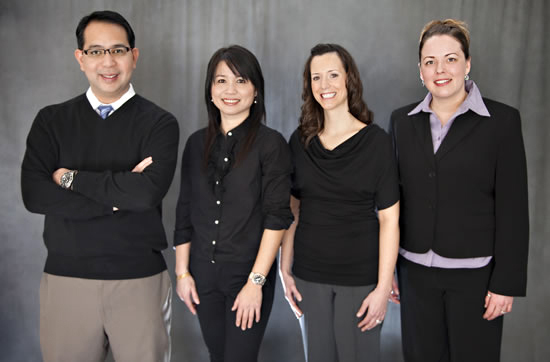 Is a well-experienced licensed dental assistant in the State of Minnesota. She had worked with many general dentists in past. In 2008, she started assisting a Prosthodontist and trained extensively in the clinical and laboratory aspects of the field. She is most recently involved in chair-side assisting of the clinical training of prosthodontic residents in graduate residency program. Jen is very fun and friendly. When not working, she loves ice-skating, scrap booking and simply loves hanging out with friends. Is a registered dental hygienist in the state of Minnesota. She has been working in the dental field for about 10 years now. She had received multiple awards including the prestigious Excellence in Patient Care Award by Procter and Gamble. Bern is married and has three wonderful children. When not working, she enjoys spending time with family and loves fishing.